Paperback, 6.75 x 9.5 in. / 128 pgs / 50 color. Edited by Klaske Havik, Bruno Notteboom, Saskia de Wit. Text by Frederic Pousin, Günter Vogt, et al. OASE 98 explores the historical foundation of the concept of narration in reading and designing the urban landscape. Presenting a new angle on the work of landscape architects and urban planners of the ‘60s, ‘70s and today, the issue offers narration as a means through which to reposition design. Edited by Bart Decroos, Véronique Patteeuw, Marius Schwarz. Text by Ayham Ghraowi, Mathew Kneebone, Lieven Lahaye, Louis Lüthi, et al. Text by Sergio M. Figueiredo, Hüsnü Yegenoglu, Mirko Zardini, Pedro Gadanho, Ömer Kanipak, et al. Edited by Christophe Van Gerrewey, Véronique Patteeuw, Tom Avermaete. Text by Pier Vittorio Aureli, et al. Edited by Els Vervloesem, Marleen Goethals, Hüsnü Yegenoglu, Michiel Dehaene. Text by Tobias Armborst, Ruth Baumeister, et al. Edited by Tom Avermaete, Viviana d'Auria, Klaske Havik, Lidewij Lenders. Edited by Klaske Havik, Gus Tielens, Hans Teerds, Peter Zumthor, Juhani Pallasmaa. OASE 90: WHAT IS GOOD ARCHITECTURE? Text by Jacob Bil, Krijn de Koning, Mike Kelley, Christophe Van Gerrewy, Christian Hubert, Milica Topalovic, et. al. Edited by Pnina Avidar, Raviv Ganchrow, Julia Kursell. Edited by Tom Avermaete, Klaske Havik, Hans Teerds. Text by René Boomkens, Abram de Swaan, Panu Lehtovuori, Ana Luz. Edited by Mechtild Stuhlmacher, Mark Pimlott, Dirk van der Heuvel. Edited by Véronique Patteeuw, Joachim Declerck, Filip Geers. Text by Kenneth Frampton, Marc Schoonderbeek. Edited by Pnina Avidar, Klaske Havik, David Mulder. Edited by Johan Lagae, Mechteld Stuhlmacher, Bas van der Pol. Edited by Tom Avermaete, Fransje Hooimeijer, Lara Schrijver. Essays by Madeleine Maaskant, Klaske Havik and Christoph Grafe. Edited by Pnina Avidar and Max Cohen de Lara. Essays by Els Verbakel, Raul Bunschoten, Bert De Muynck, Anil Ramdas, Haroon Saad and Sophia Vyzoviti. Essays by Christoph Grafe, Madeleine Maaskant and Mechtild Stuhlmacher. Essays by Bruno VayssiÀres, Tom Avermaete, Salomon E. Frausto, Bosman Jos, et al. Edited byWillemijn Lofvers, Marcel Musch, Lara Schrijuer and John Auermaere. Edited by Pnina Avidar. Essays by Christoph Grafe, Filip Geerts and Marc Schoonderbeek. Text by Guy Châtel, Kersten Geers, Amanda Lawrence, Patrick Lynch, Vittorio Pizzigoni. Text by Filip Geerts, Karl Belen, Bart de Zwart, Nancy Meijsmans, Sandra Parvu. Edited by Klaske Havik, Véronique Patteeuw, Hans Teerds, Christoph Grafe, Tom Avermaete. Text by Luce Beeckmans, Madalena Cunha Matos, Tom Avermaete, Jonah Lagae, Haim Yacobi. 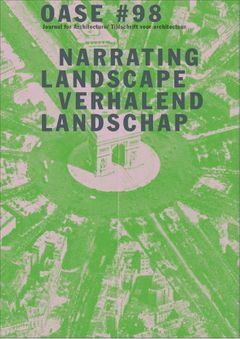 Text by Klaus Hübotter, Wim van den Bergh, Rudy Stroink, Mark Pimlott, Noud de Vreeze, Anna Vos, Niall Hobhouse, et al. Text by Pier Vittorio Aureli, George Baird, Christoph Lueder, Joost Meuwissen, Angelica Schnell, et al. Edited by Michiel Dehaene, Bruno Notteboom, Hans Teerds. Text by Joachim Declerck, Michiel Dehaene, et al. FORMAT: Pbk, 6.75 x 9.5 in. / 128 pgs / 50 color.